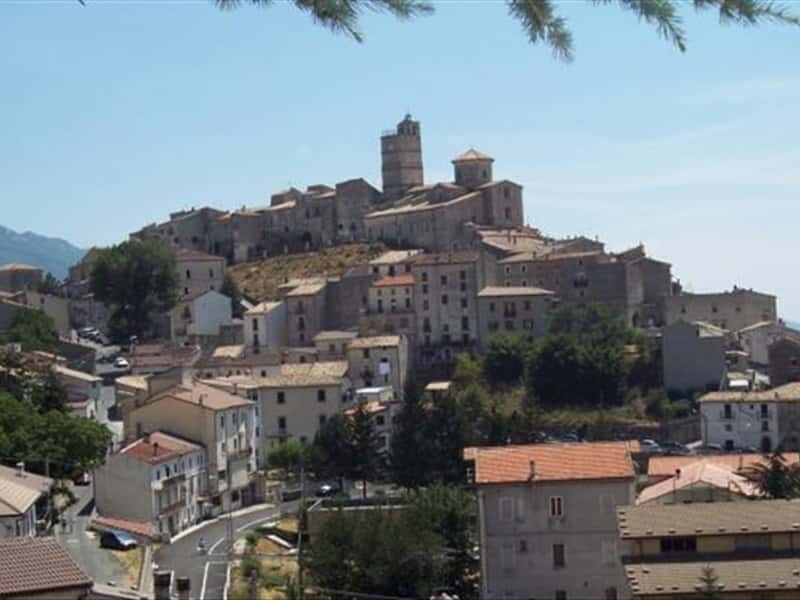 It is a town in the province of L'Aquila, situated at the confluence of the valleys of Contra and Sant' Antonio, on the slopes of Mount Plaia. The name derives from the Latin "inter aquas", indicating the abundance of springs in the area. The area offered a so important supply of water that the powerful monks of the Abbey of San Clemente of Casauria sent their settlers here to cultivate these lands. The town submitted the dominion of several noble families (including the D'Aquino and the Trasmondi) and in the XIII century a castle was built for defensive purposes. - the ancient doorway "Porta della Terra" with its fortified ramparts that were the defense of the Old Village. This town web page has been visited 21,951 times.